Expand your menagerie of magical creatures with beasts straight out of the Wizarding World. 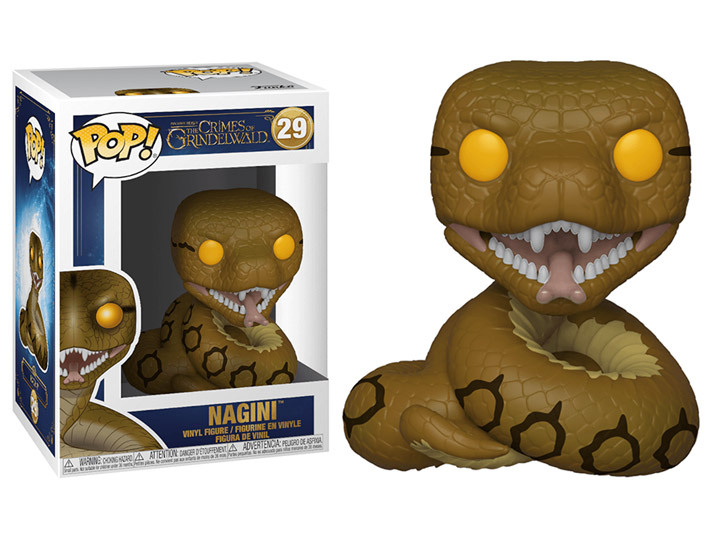 ​You will want to add the Crimes of Grindelwald Nagini Pop to your collection. It depicts a young woman who is a Maledictus - a carrier of a blood curse that ultimately destines her to transform permanently into a snake - who you may recognize from the Harry Potter series. Pop! figures bring your favorite Fantastic Beasts characters to life with a unique stylized design. 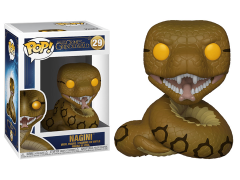 This vinyl Nagini Funko Pop figure stands 3.75 inches tall and comes in window box packaging, making it great for display!